They are now two weeks. Their eyes are open. Funny, how they look at me. All they do is eating, drinking and sleeping. her pups and cleans them well. On August 18 th. 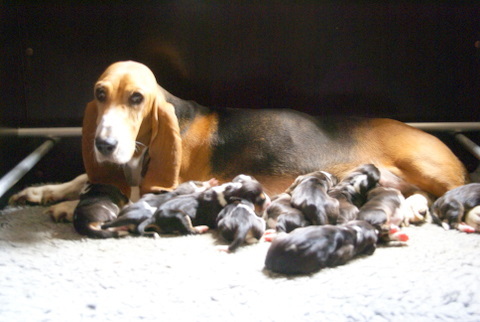 Amande gave birth to 8 female and 1 male pups.